The Archives & Library holds an impressive collection of manuscripts, historic records, photographs, maps and printed books dating back to the late 8th century. These make up an extraordinarily rich resource. 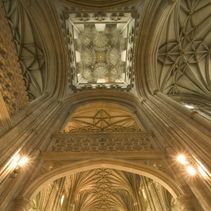 In the Archives, you can find out more about the Cathedral, its history, its buildings and its community. You can explore the history of Canterbury and the surrounding area, and you can research East Kent family history. 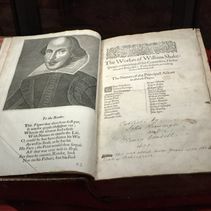 The Library contains about 30,000 books and pamphlets printed before 1900, and an expanding collection of some 20,000 books and serials published in the 20th and 21st centuries. The Collections are particularly rich in books on church history, older theology, national and local history, travel, natural science, medicine and the anti-slavery movement. For some highlights from the collections, please see Picture This…. The Cathedral Archives building dates from 1954; it was built to replace a Victorian library destroyed by bombing in 1942. The Archives building was refurbished in 2012 with generous support from the Albert Reckitt Charitable Trust. The Howley-Harrison Library was rebuilt over the Infirmary Cloister in 1665. Thanks to generous grants from the Wolfson Foundation, English Heritage and the Friends of Canterbury Cathedral, it was recently restored to its splendid 19th century décor but with a 21st century twist. 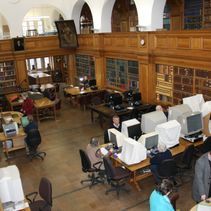 In November 2017, the Archives and Library was awarded Archive Service Accreditation. Accreditation is a UK wide quality standard which offers a benchmark for gauging performance, recognising achievement and driving improvement within the archives sector. Please note that parish registers from our collections are available on Find My Past. For the Cathedral’s Privacy Notice, please click here. 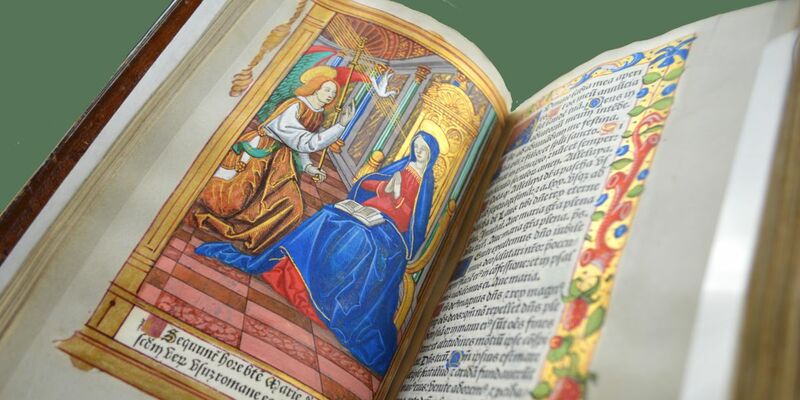 Important, please note: The archive collection of the Diocese of Canterbury is no longer available at Canterbury Cathedral Archives as it is in the process of a move to the Kent History and Library Centre in Maidstone, where it will be available in late June. This collection consists of items with the DCb prefix in the reference, and includes tithe records, church court records, visitation records. Existing microfilm copies of this material remain at the Cathedral Archives. The records of East Kent Parishes (including registers of baptisms, marriages and burials) remain at the Cathedral Archives. Please contact us with any queries. 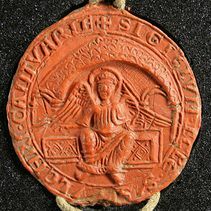 The Archives and Library of Canterbury Cathedral welcome all researchers with interests in our collections. View opening hours and details of available services here. Cathedral Image Database Our Image Database contains images related to the Cathedral and some of its collections and treasures. You may also contact our Press Office to request images.